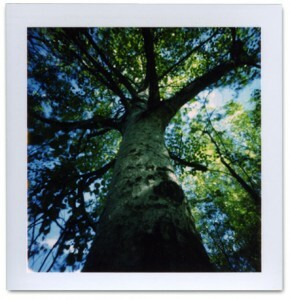 I found this Polaroid pinhole camera on the web this past summer after digging around looking for SX70 film. 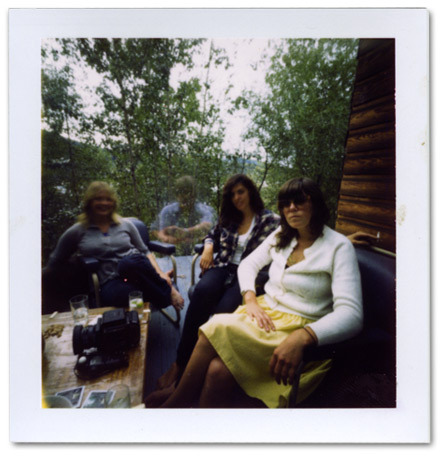 Looks like film for Polaroid is going the way of the Dodo bird, a shame since there seems to be a re-kindled interest among photographers in this medium. I was pretty excited to get this from a place in Germany that scours the world for warehoused film and cameras and then sells them to Polaroid aficionados. Anyhow, I’ve scanned some shots that were taken with this camera. This one is fun since I’m shown as the ghostly figure behind the girls because I ran back to my position after opening up the lens. Can’t remember the exposure time, think it was about a minute. One of my first tries after unpacking the camera. The film is the pull and peel variety. I was unsure how to do it before I wasted a couple of exposures. But finally got the hang of it. This seems to be an interesting way of getting introduced to pinhole photography, the instant gratification of pull and peel film helps. I’ve seen some pretty fancy pinhole cameras in cherry wood with brass knobs, etc. Never did do the shoe box experiments with film. Wonder how long before Polaroid film disappears entirely? The stuff used here was already borderline expiry. 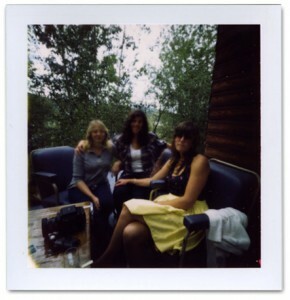 Here’s another pinhole of my girlfriends (haha) posing on the porch. 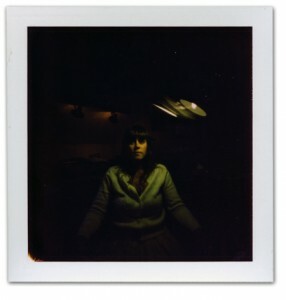 I just love the effect that these Polaroids give. Very moody and mysterious. And out of focus. And then the shot up the old tree trunk. Which I like anyway, it’s cool. 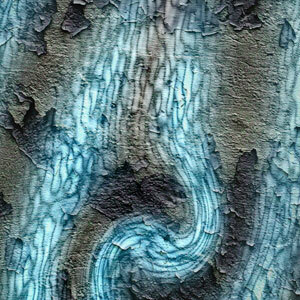 The film used was Viva with a 90 second processing time. Box 40 Fractal Grafitti Artspeak! Thanks for the heads up Wayne, I wasn’t aware of that. 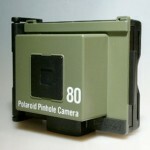 Excellent news since I’m interested in carrying on with the Polaroid pinhole.